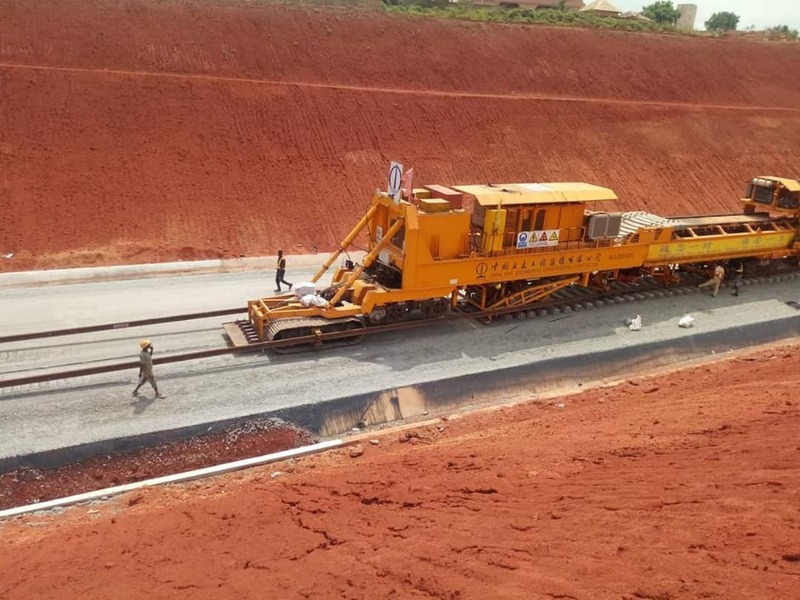 Lagos-Ibadan Railway: See The Trains That Federal Government Ordered For - Photos - AutoReportNG "AutoReportNG-The No 1 Car Blog In Nigeria That You Can Trust - AutoReportNG"
The Federal Government of Nigeria has awarded the contract for the purchase of locomotive trains to shuttle between the Lagos-Ibadan Railway Axis and also the Kaduna axis. 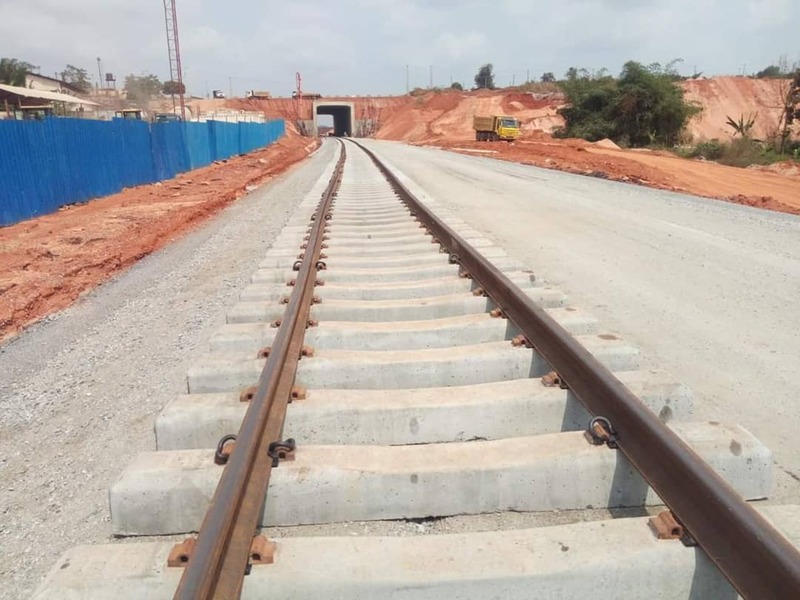 The Lagos-Ibadan Railway project started in 2017 and so far, it is nearing its completion stage, according to the minister of transportation, Mr. Rotimi Amaechi, the Vice President, Prof. Yemi Osibanjo will inspect the project by having a test drive from Lagos to Abeokuta to see how far work has been done. 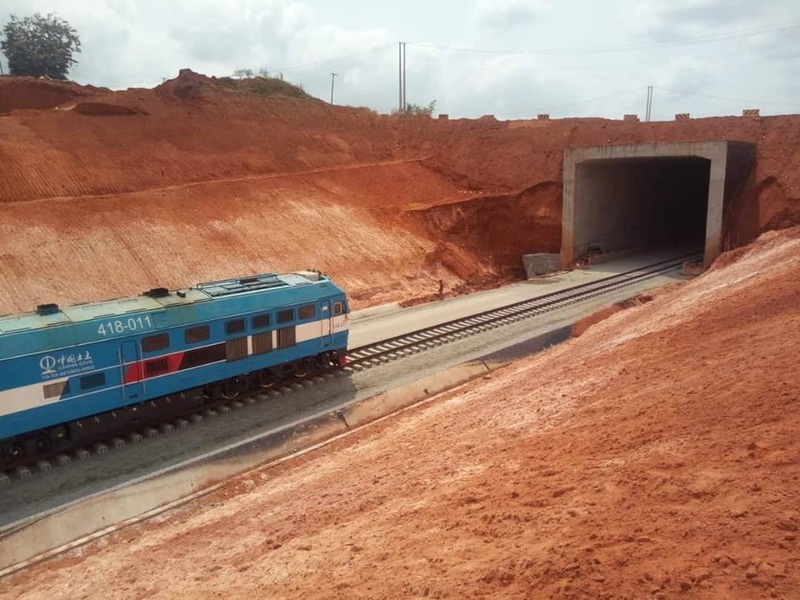 According to reports, the contract was awarded to CRRC Qishuyan to supply 4 NDJ3(N) DMUs, 6 DF11G(N) passenger locomotives, 9 DF8B(N) freight locomotives and 2 DF7G(N) shunting locomotives for the Lagos - Ibadan Railway and Abuja - Kaduna Railway. The first batch of 10 locomotives will be dispatched by the end of October 2019. What is confusing is that why is the federal government used to buying locomotive trains in these times of high-tech speed trains and advancement? Well, maybe we will get an answer for this soon. AutoReportNG did a review of the trains the federal government is buying, their images and their specs and these may interest you. NDJ3 “Harmony and the Great Wall” DMU is developed under the transportation demand of Beijing Olympic Games, which commutes between Beijingbei and Yanqing. This DMU is a “2 motor-cars and 7 trailing cars” unit with one motor-car at each end and seven trailing passenger cars fixed in between.The locomotive is equipped with 12V280ZJ diesel engine. The Maximum running speed is 160km/h. Based on mature technologies, long-term operation and inspection results that got from medium and large overhaul, the performance and reliability of main components such as diesel engine, bogie frame, car body, traction motor used for NDJ3 DMU have been well verified. It is well suited for long steep grade. Since NDJ3 DMU was formally put into operation in 2008, this train set has been running safely and reliably for 8 years and was well recognized by customers, It was awarded the first Prize of Scientific & Technological Progress of China Railway Society in 2009. DF8B diesel locomotive, as the mainline freight diesel locomotive with the highest power for a single diesel engine in China, is the ideal traction power for speedup of heavy mainline freight transportation. Equipped with 16V280ZJA diesel engine, JF204D synchronous main alternator, and ZD109C traction motor, the locomotive has a speed of more than 90km/h at maximum constant power. It was awarded “Second Prize of MOR Scientific & Technological Progress” and Jiangsu Province Excellent New Product “Golden Ox Prize”. 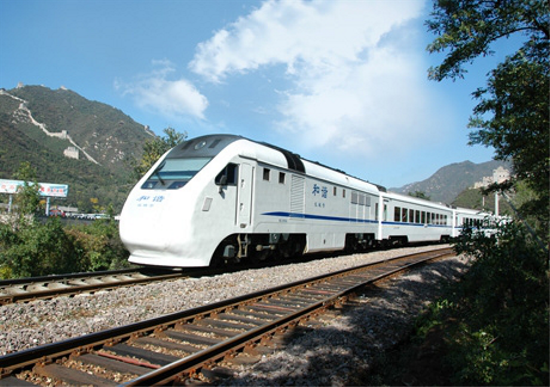 New technologies such as the microcomputer control system, large-screen color liquid crystal display, dynamic brake unit for self-load test at full power and etc., are utilized in this locomotive. It is modern in electric control technology and excellent in dynamic performance. 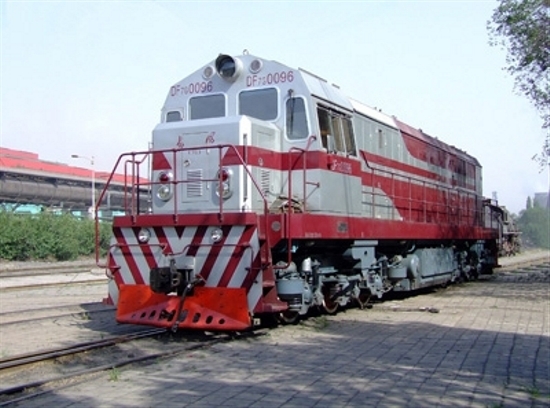 DF8B diesel locomotive is widely used in state railway and industrial and mining companies, this locomotive is designed by taking DF8B diesel locomotive as a prototype. 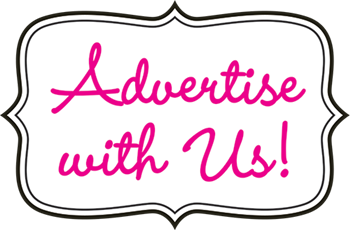 It has been exported to Venezuela, Iran, Guinea and so on. 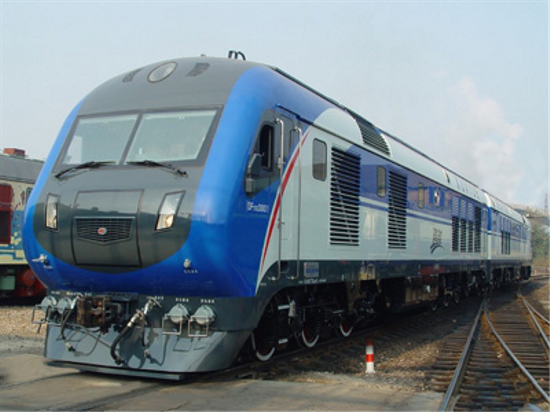 DF11G double-heading quasi-high speed passenger diesel locomotive is specially developed for grand speedup of railway. Currently, it is the main diesel locomotive run on China railway. It is equipped with the 16V280ZJA main diesel engine for traction, LonWorks network control is utilized, the speed monitoring system is set up for running safety and dynamic brake device is incorporated with full-power self-load function. Auxiliary diesel generator set with power supply functions for passenger cars is also equipped. The double-heading locomotive is of enough power reserve, the superior performance of starting and accelerating, guaranteed reliability of key components, which is suitable for long routing. 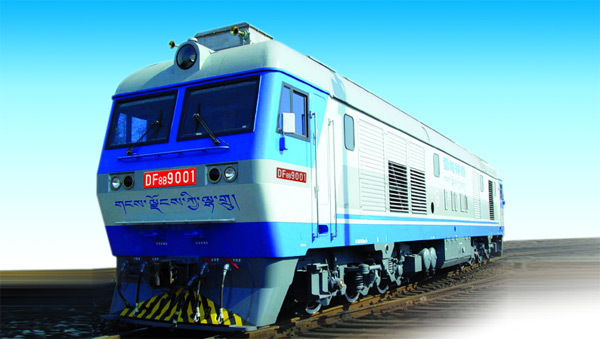 DF7G AC-DC electric transmission diesel shunting locomotive is mainly used for marshalling and shunting operations in large and medium-sized marshalling yards. It is equipped with 12V240ZJ diesel engine, its main components are interchangeable with the ones of DF4 and DF5, and its components are most suitable for DF4. Based on DF5, improvements on generalization, serialization, modularization, standardization have been made. It adopts modular construction of outside corridor and underframe load-bearing, diesel engine with stepless speed adjusting gear; The main transmission system adopts two excitation systems of PLC constant power excitation and original excitation of power adjustable resistance. The auxiliary system of the locomotive adopts auxiliary electrical transmission, the cooling fan and air blower of traction motor driven by AC motor. The control system adopts color liquid crystal display, with the functions of data display, fault diagnosis, detection, and records, etc.